Starting with their own farm, ONEearth makes an effort to grow as much of the ingredients themselves while sourcing locally whenever possible. 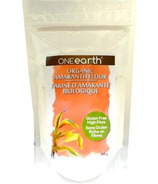 For other ingredients, ONEearth searches our one Earth for the most wholesome and natural ingredients the world offers. At ONEearth, they work hard to provide foods that taste great, are healthy choices, and can be easily prepared in busy households.